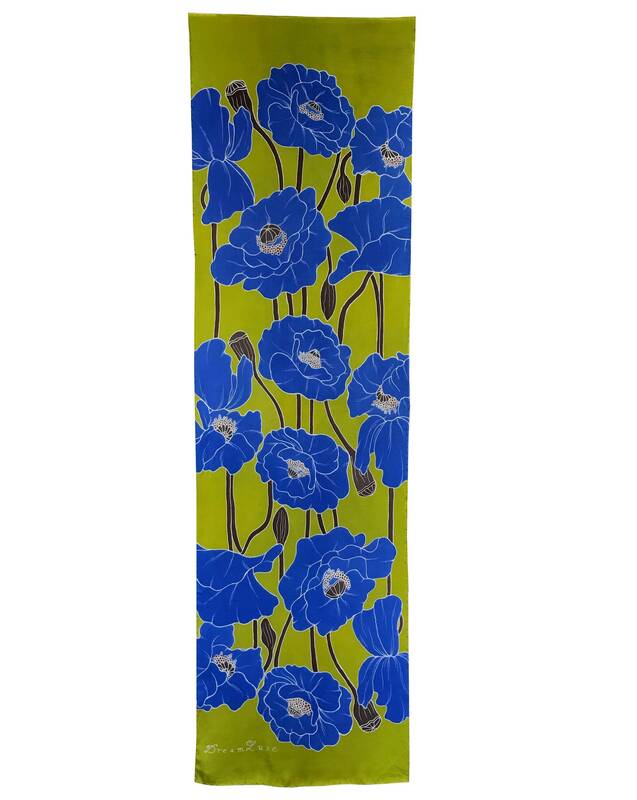 Wonderful Batik hand painted long silk scarf with large blue poppy flowers. A great color combination with a lime green background. 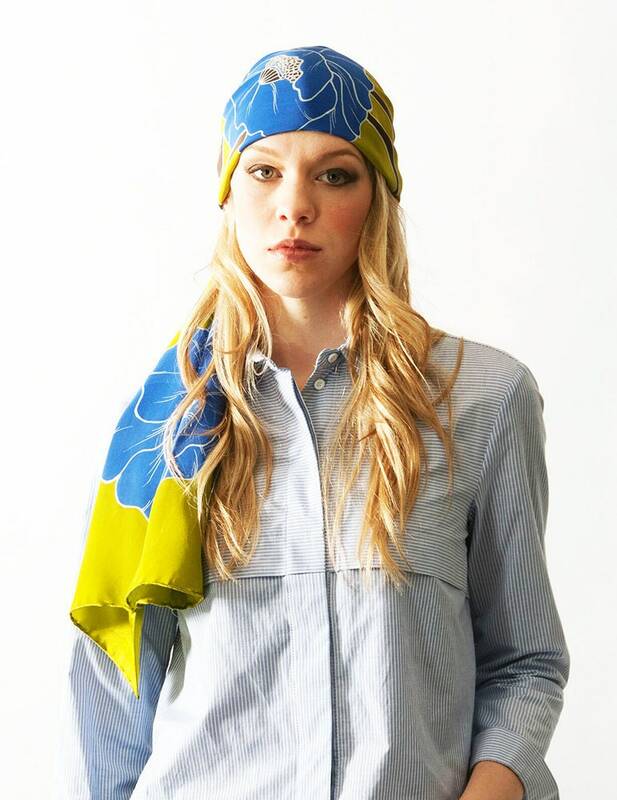 Made of 100% natural charmeuse silk, one of the most exquisite and elegant fabrics. A perfect gift for a friend, girlfriend, wife or yourself. 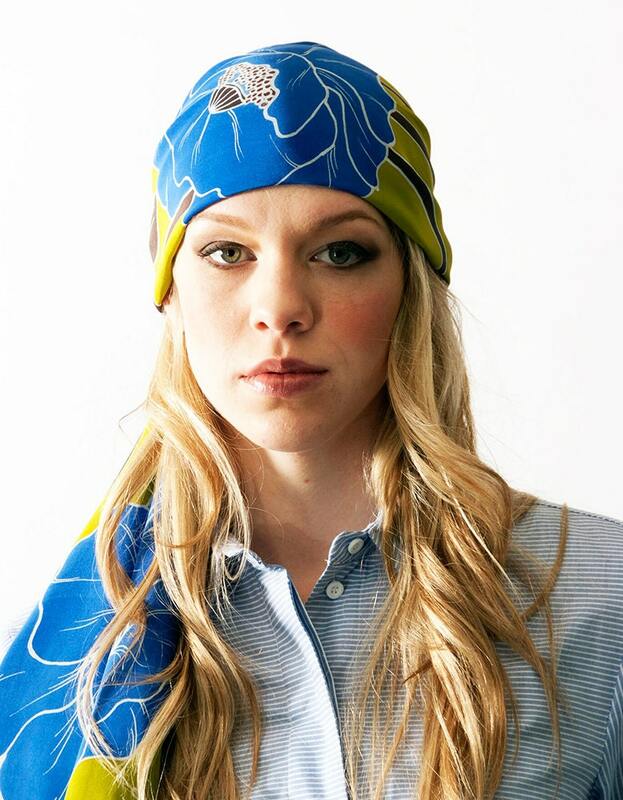 A wonderful head scarf too!